The rate of unemployment in Kenya is alarming as jobs that used to require manpower are now mechanized. As a result, the number of youths graduating from universities and colleges is higher than the available job opportunities. Fortunately, opportunities are now open online where several Kenyans are making millions of money every month through online jobs. The biggest challenge to online Kenyan workers is how to get their payment via Mpesa since most online jobs pay via online bank transactions like Skrill and Paypal. There are various popular online jobs in Kenya that pay through Mpesa, with the payment process being cheap and fast. Besides students, unemployed individuals and professionals can do data entry or other online jobs as full-time or part-time workers in Kenya. For this to be effective, you need a stable Internet connection as you work your way out to become financially independent while working from home. There are sites like Kenyawriting.com and Kenyarater.com that can pay via Mpesa once you have completed your online work. While multiple full-time and part-time jobs may be available in Kenya, it is crucial to remember that some of the sites may be scams, so it’s advisable that you watch out. What’s more, it is important to research and review on the sites before beginning to work on them to be on the safe side. Below are some of the Kenyan online jobs that pay their clients through Mpesa. This is one of the highly rated online typing jobs that pay via Mpesa in Kenya. This type of writing requires much research and time but pays better than article writing. To begin doing academic writing, you first have to find a trustworthy contact person for a start. Businesspeople with no physical shops but want to sell their products can link up with potential buyers who can help promote their products online and sell them on commission. In this way, they will be carrying out online marketing where they get paid via Mpesa. An example to this is Jumia Kenya that offers online jobs to workers who would like to become online affiliate marketers. This is one of the leading online jobs that pay via Mpesa in Kenya. In this case, the bloggers use their talents to make money by launching their blogs or contributing to other Kenyan blogs as guest writers. Writing research papers involves doing an intensive study on a given topic. Payment for this job in Kenya is usually made via Mpesa on a monthly basis. This, however, depends on the person that the writer is working for as some employers pay on a weekly basis. While it can be challenging to find these jobs in Kenya, some clients post their jobs on social media platforms. For instance, Awesome Transcribers Kenya is a Facebook page that helps writers get trained on how to do online transcription and other online jobs effectively. This is a content writing job that allows writers get paid through Mpesa and is one of the easiest typing jobs in Kenya. Here, a writer is asked to rewrite an article instead of creating original content. This helps the employer to avoid plagiarism cases that could attract legal fines. Most jobseekers with a passion for graphic design can opt to become freelancers and work for various design companies. The designers can search for these jobs online or create personal websites where they can display their skills for clients to contact them. When working with Kenyan clients, the designers get their payment as agreed via Mpesa. Electronic books (E-books) have become the best option for Kenya’s online community. Here, writers make thousands of money by using the social media to sell their E-books and get paid through Mpesa. As a writer, you just have to post the price of the book and the telephone number that will connect you to potential clients. If you have an E-book that you are selling at Ksh.200, for example, you can easily make Ksh.40,000 if 200 Facebook users make a purchase. Most organizations usually look for ways to have quality and attractive content on their websites. This is because websites require good content for it to rank higher on search engines and lead to better sales. For digital marketing to be efficient, the content producer needs a clear understanding of search engine optimization (SEO) and clear content writing. 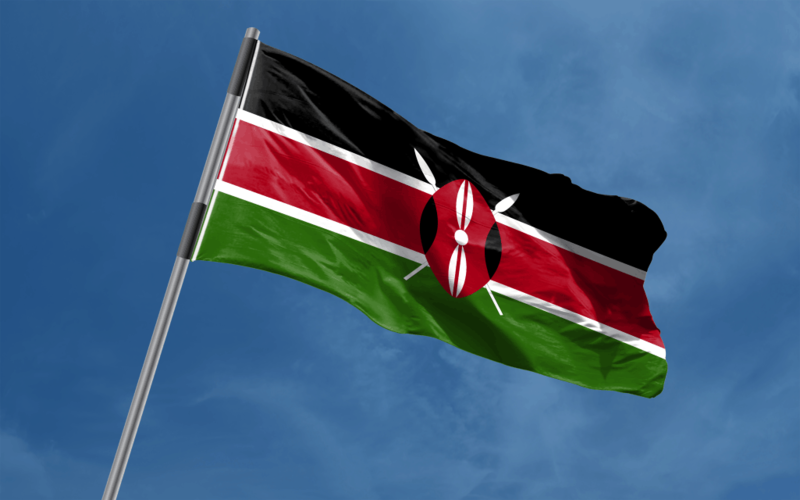 Kenyaplex is a Kenyan website that offers online jobs and pays its workers through Mpesa. The process of registering for this is free and easy, and once completed, a writer can produce and post articles on different topics. Zakenya is a freelancer site in Kenya that allows writers to write and sell their articles. The writers are free to select and post articles based on their specialization area. They can then receive their payment via Mpesa on a monthly basis. This website accepts articles from various categories including education, health, and fitness, agriculture, transportation and technology. Tuwaze.com allows writers in Kenya to register freely and receive job assignments. With payments being made through Mpesa every Friday, this website lets writers post their articles at no cost. Zetu.co.ke is an online website in Kenya that enables clients to select various products online at favorable prices. It uses the social media like Facebook and Twitter to market the products and reach the clients. Social media users can also earn some money by referring friends to the site. Justbet was established in 2010 as a betting site and allows its subscribers to receive their payment through Mpesa. This is a leading betting site in Kenya with subscribers from all over the country coming after Betin Kenya, Sportpesa and Betika Kenya. Kenyan online workers have every reason to smile as they can easily receive their payments from the comfort of their home. This, however, depends on the specific websites as most international sites pay through online payment systems like Paypal. As seen above, the number of Kenyan online job sites has increased and vary according to the services they offer.